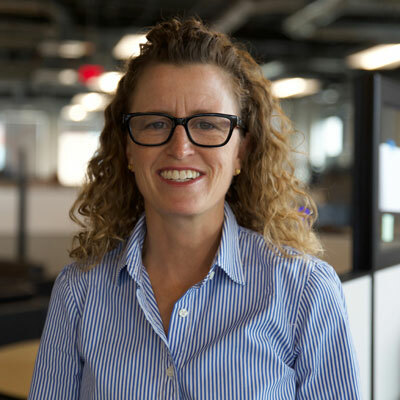 Deirdre Day is Director, Channel Business Development at SmartBear Software. Her specialties include software quality management, software testing, and channel partnerships. Early in her career, she was an IT consultant and worked in account management for Forrester Research. She was in business development at Gerson Lehrman Group for five years being one of the founding members of the corporate sales team. During four+ years as a business development executive at Avnet Technology Solutions, she strategically resold IT software and services directly to clients and jointly with other channel partners. Her direct sales and channel sales experience has taught her to appreciate the value of selling through the channel. She has a master's degree in business administration from Babson College and a bachelor's degree in industrial engineering and management sciences from Northwestern University. I am tasked to build out SmartBear's North American Value Added Reseller (VAR) channel. We have had success in Europe with VARs and globally via Systems Integrators, but I see a great deal of opportunity through value added resellers based in North America. Since starting at SmartBear in September, I have continued to work with our two existing NA partners and signed on four new ones. In 2018, I plan to bring additional revenue to our global sales team by helping our sales people find new software opportunities via VARS. SmartBear has an extensive partner network in Europe, but my focus is to expand our channel partner network and business in North America. Part of this process is identifying partners who we think will be successful selling SmartBear tools. We have learned numerous lessons from selling through partners in Europe, and we want to engage with the right NA channel partners to ensure their success. I admire Arianna Huffington, both for her entrepreneurship and her new mission to help people achieve better work/life balance. She was incredibly successful in founding the Huffington Post and growing it into what it is today. However, she was also able to carefully reflect upon her life and decide to switch gears in order to start Thrive Global. I believe that the work that she does in helping other people find ways to both live and work, and take your whole self into account, is admirable. I would tell my younger self to take more risks when you are young, and to ignore everyone else's opinions on what your career path should be. Instead, listen to your gut when you make decisions, and find things in your life that continue to make you laugh. I would like to learn how to be an amazing listener. I want to be able to assess what a partner needs not only listening with my ears, but also trying to decipher what their motivations are. This way, no one will jump to conclusions too early. Instead, I'd like to actively listen in order to best understand my clients and their needs. I just finished The Monk of Mokha by Dave Eggers which was just released February 2018. It is the true story of a young, poor, Yemeni-American man who was raised in San Francisco. At 24-years-old, he resurrects the almost dead coffee business in Yemen, and brings the industry back to a war-torn country. It is a story of entrepreneurship with a strong humanitarian element. I think it is inspiring to know that people can do great things. We can create things out of nothing with a dream.